If your pendrive or usb flash drive gets corrupted because of viruses, corruption of file system or any other reason and you are not able to format it in Windows then do not worry. 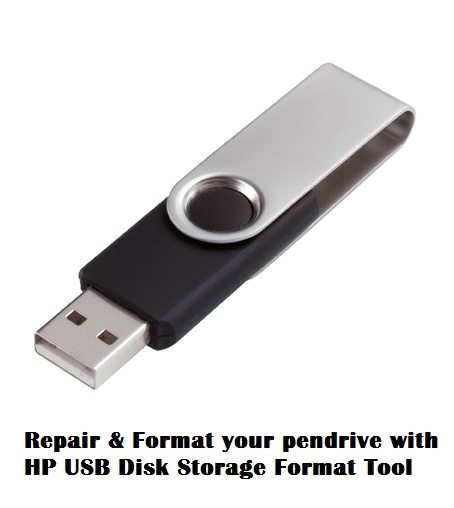 There is a very effective tool called HP USB Disk Storage Format Tool for handling these kinds of issues. 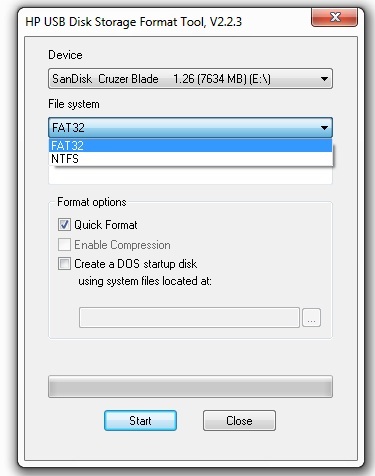 HP USB Disk Storage Format Tool is a tiny freeware standalone utility used for formatting your USB Disk drives. It was designed for HP Drive Key or DiskOnKey USB 2.0 devices but can work with any usb based flash storage devices. 1 When to Use HP USB Disk Storage Format Tool? When to Use HP USB Disk Storage Format Tool? 1. When your pendrive is infected with viruses and Windows is unable to format it. 2. When your pendrive file system gets corrupted and you cannot open your drive. 3. You do not want to format your pendrive with Windows built-in tool and need more power over formatting options. In all cases whether you have corrupted pendrive or not you should always use this tool to format all of your pendrives for better formatting. It can also format your External USB Hard Disk or any other USB Storage Drives. 3. Launch the Tool from Desktop by double clicking it. 5. Do not check/tick any of the options for proper or full formatting of your pendrive. Click on start and your formatting will be done. 6. After that check your pendrive by copying files to it and again from pendrive to your computer. If you pendrive is still not working then you need to get a new one. Format it completely and then try again. Then i think it is corrupted. 1-I HAVE HP W 220 PENDRIVE. WHEN I RIGHT CLICK ON SYMBOL IT STARTS ROTATING BLUE THICK CIRCLE AND GOES ENDLESS. NO POPUP OF WINDOWS. TRIED TO RECOVER USB PENDRIVE IT SHOWS RAW FILE SYMBOL . HOW TO REPAIR IT.PL. GUIDE ME AS I AM TIRED OF. I think it is corrupted. Saying this pen drive is write protected?